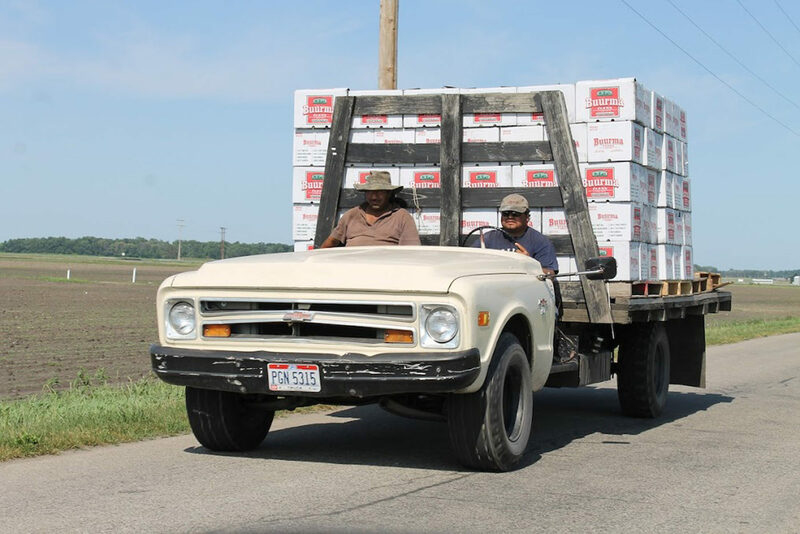 Farm workers transporting produce on the back of a truck. WASHINGTON, D.C. — For farmers and ranchers, immigration reform must balance agriculture’s need for a dependable supply of agricultural labor with enhanced security at our nation’s border. A new video produced by the American Farm Bureau Federation highlights those issues, but with political debate ramping up and no practical solutions on the horizon, farmers say important areas of U.S. food production are at risk. Farmers and ranchers know that you cannot address immigration reform without tackling the issue of border security, said AFBF President Zippy Duvall, who recently saw the delicate balance between the two issues during a tour of agriculture and border security efforts in Arizona. Across the nation, farmers and ranchers are experiencing a labor crisis. Reliable and skilled farm workers are harder to come by with each harvest season. And, without an efficient and legal way for a dependable supply of farm workers to enter the country, more U.S. crops are being left to rot in the field. That means consumers will be less able to enjoy American-grown products, according to the video. “Our country’s going need to make up its mind. We’re either going to import our agricultural labor or we’ll have to import our food. Most Americans would opt for food grown on our own soil by American farmers. To keep that option viable, we must act soon,” Duvall said. Farmers and ranchers from all regions are ready for Congress to act on immigration reform, but as Duvall points out in the video, it is important to remember some key American principles. In addition to Duvall, the video features Arizona Farm Bureau President Kevin Rogers, Arizona pecan grower Nan Walden, Arizona vegetable grower John Boelts and Arizona cattle rancher Dan Bell. As a dairy farmer, I do NOT agree nor do MANY other farmers!!!! If we were to be paid what we should be for our products, we could afford to stay small and live decently. It is the ‘middlemen’ pushing for this-they are making huge profits from us farmers as the government has over-regulated us so we can not sell directly to consumers-and since we are ‘stuck’ selling through them they force farmers to ‘get bigger or get out’ by buying our products so cheap we must raise more and more to make a living. Problem is, when you get big, you need more help-enter illegal aliens. We do NOT need ‘immigration reform’-we need to be paid a proper amount for our products, government regulations abolished, and welfare recipients made to WORK. Illegal aliens are criminals as soon as they step foot on American soil. Why should we allow them to continue-it is OBVIOUS from the start they have NO respect for our laws. DEPORT them ALL.